Calved from a sweeping glacier tongue, hundreds of blue and shimmering white icebergs drift serenely towards the Atlantic Ocean in this magical place. Crystal-like bergy bits glitter on the adjacent black sand beach providing a roadside wonder that does not disappoint. 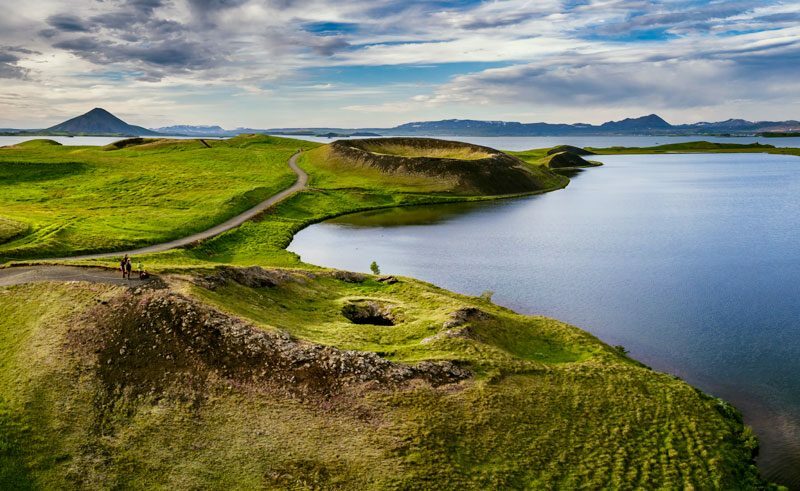 One of Iceland’s foremost areas of natural beauty, Lake Myvatn offers volcanic curiosities, geothermal activity and abundant birdlife. Pseudocraters, lava pillars, bubbling mud pools, steam vents and vast craters provide the geological wonders, while Barrow’s goldeneye and harlequin ducks take centre stage amongst the wildfowl for which the area is famed. 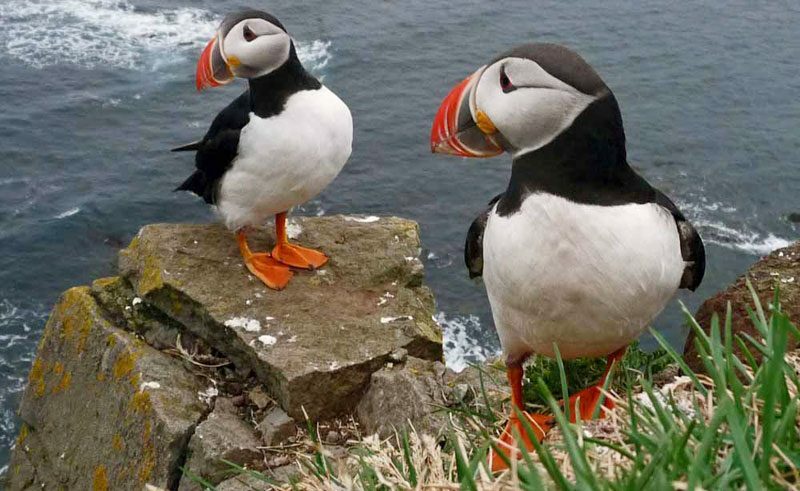 Nothing stirs the senses more than a sea cliff crammed with thousands of nesting guillemots and kittiwakes, with puffins adding to the avian hullabaloo with their airborne sorties from clifftop nesting burrows. 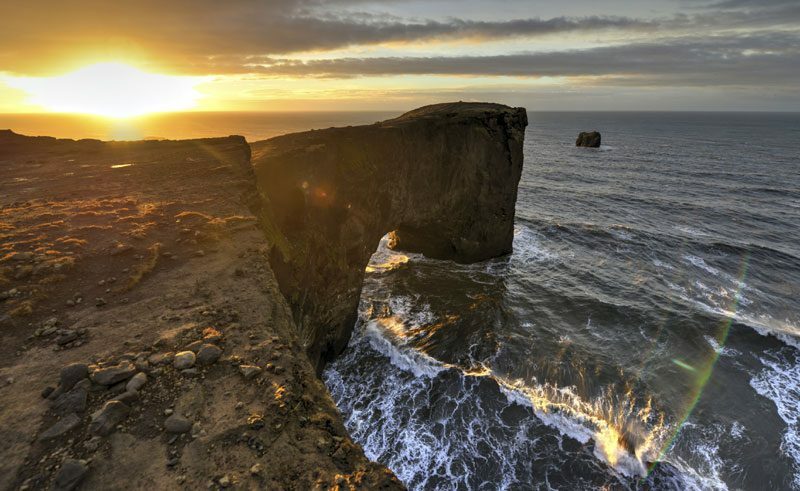 Rising to 440m, Latrabjarg is the largest seabird cliff in Iceland. 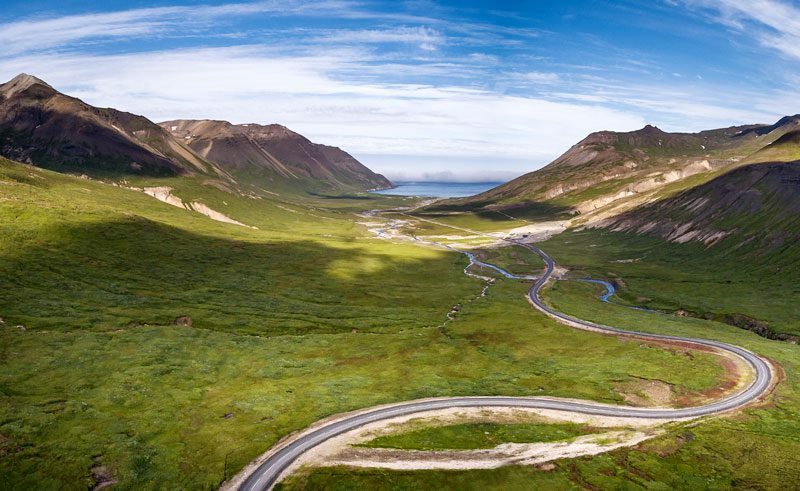 Known to the locals as Bakkagerfi, the charming drive to Borgarfjordur Eystri is one to enjoy at a timely pace. 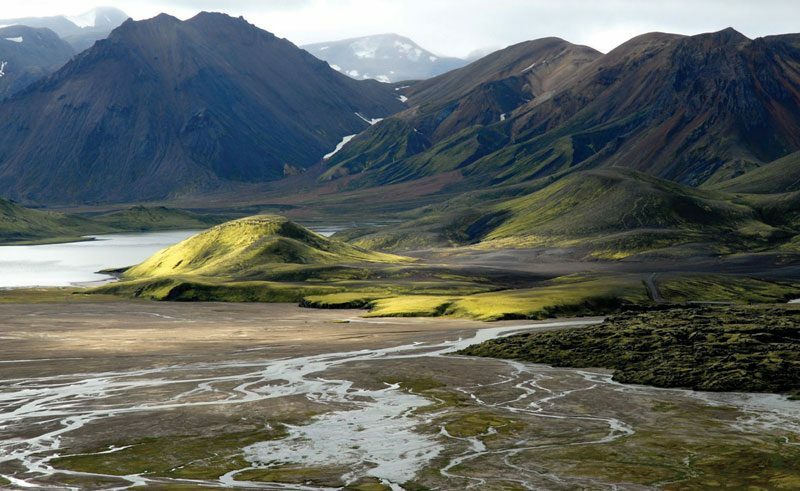 On one side, you’ll enjoy the magnificent Dyrfjoll (Door Mountain) and on the other, a range of rhyolite mountains. 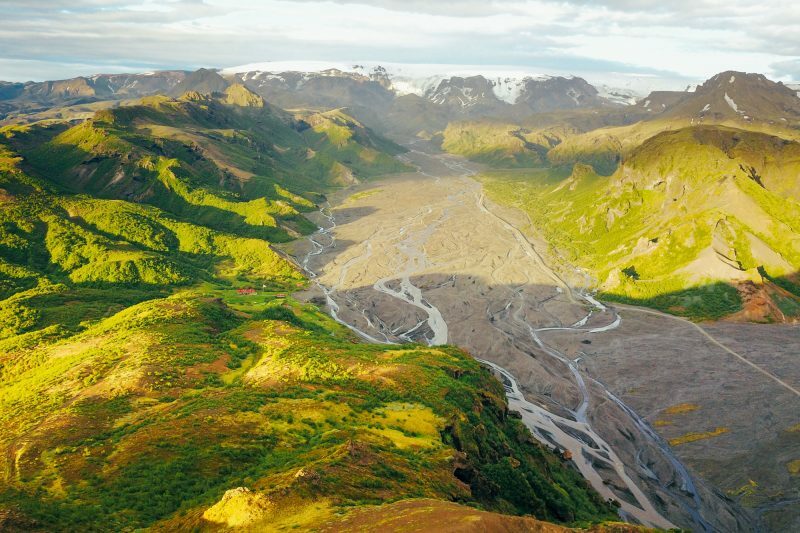 Named after the Norse God, Thor: God of Thunder, Thorsmork is a spectacular mountain ridge, located between the two glaciers: Tindfjallajokull and Eyjafjallajokull. Explore by 4WD in the summer months, but when winter falls – book a thrilling Superjeep exploration through the snow. The Highlands of Iceland are an uninhabited land where hot springs bubble through sulphur crusted vents and icecaps crouch on the horizon, ghostly grey and austere. Pimpled with volcanoes and scratched by rivers seething with glacial meltwater, it’s a dusty, bone-shaking, grit-between-your-teeth kind of place. You simply have to go! Did you know, with around 32 volcanic systems, 11% of Iceland is covered by lava fields, much clad in moss? 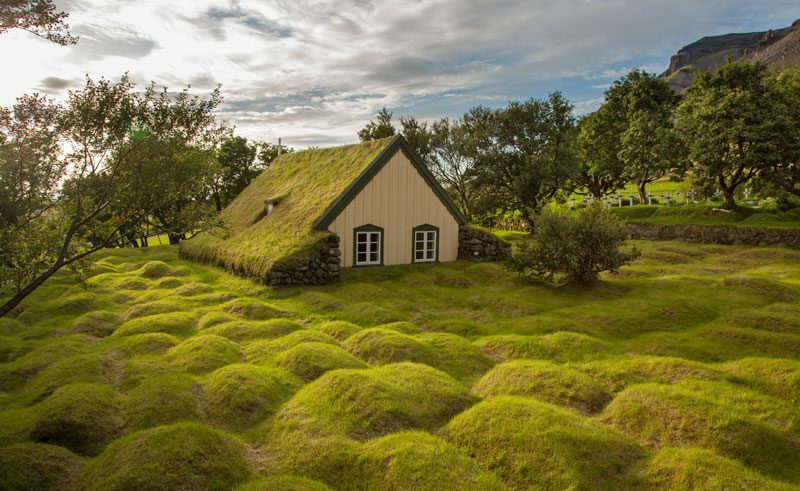 This traditional 18th-Century turf church in Hof, Southeast Iceland, was created as protection from the elements and remains one of the last standing in the country today. A former island, Dyrholaey is a small peninsula close to the village of Vik on Iceland’s southernmost coastline. Choose to drive top the top of the peninsula for spectacular views, before heading down to explore the black-sand beaches that surround. As the evenings begin to draw closer in September, so the aurora season begins continuing throughout the winter months into late April. Autumn and spring are ideal times to combine leisurely exploring by day with the prospect of seeing this magical lightshow at night. For the best chance of spotting the aurora, head away from all light pollution staying in countryside locations. 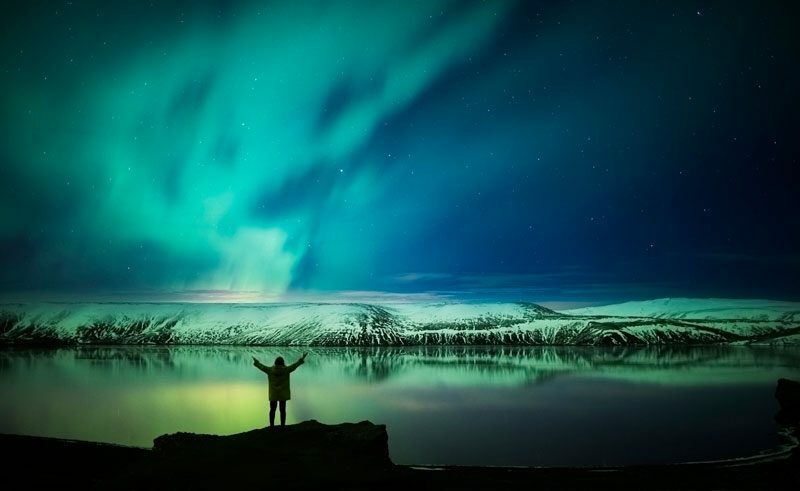 Our unrivalled selection of Iceland self-drive holidays takes you to the most beautiful spots in the country. Stay in handpicked accommodation, enjoy fantastic activities and explore hidden gems using iDiscover – our exclusive digital travel app. 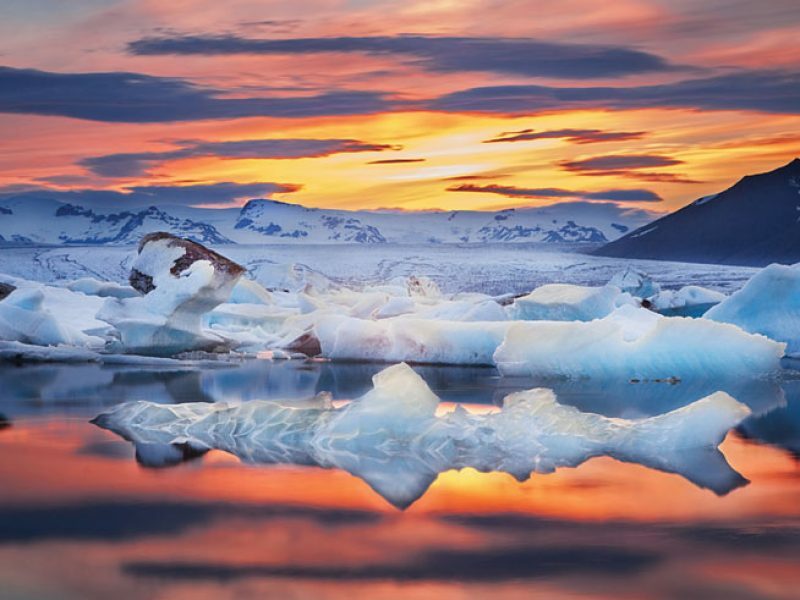 For help in planning your ideal Iceland itinerary, send us an enquiry or speak to one of our Iceland Travel Specialists on 01737 214 250 who can tailor make your trip to suit your budget, timescale and interests. Iceland may not top the tables for species numbers but if you’re after a birding holiday combined with jaw-dropping scenery, the island takes some beating. Fresh air, exercise, long daylights hours and natural wonders around every corner: if you love hiking and walking then read on.